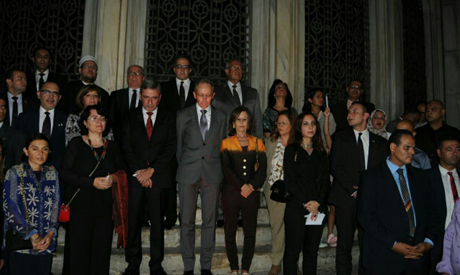 Minister of Antiquities Khaled El-Enany along with Cairo Governor Atef Abdel Hamid and other high-ranking government officials and foreign ambassadors flocked to El-Moez street in Medieval Cairo to inaugurate three Mameluke, Ayyubid and Ottoman edifices. Before cutting the red ribbon, the dignitaries, along with Archbishop of St. Catherine's Monastery Demitry Demianos, stood for a moment of silence on the stairs of the Sabil-Kuttab of Mohamed Ali in memory of the Egyptian officers and soldiers who were killed in a terrorist attack on Friday in Rafah, North Sinai. Other officials present included Local Development Minister Hesham Al-Sherif as well as the ministers of culture and religious endowments and directors of foreign archaeological institutes in Egypt. The inauguration tour started by the Sabil-Kuttab (public water fountain and Quranic school) of Khesru Pasha before moving to the Qubbet (Dome) Nagm El-Din Ayyub and finally Mohib El-Din El-Tayeb Hall. "Restoring these three monuments was part of a national campaign launched by the Ministry of Antiquities in 2015 to restore 100 monuments in Historic Cairo," El-Enany told Ahram Online. He added that the newly inaugurated edifices are the first batch of a restoration campaign that includes seven monuments. The four still being restored include Maqaad Mammay Al-Seify, Al-Salihiyya Madrassa (school) Saeed Al-Saadaa’ Khanqah and the Abul Dahab monumental complex. The ministry has allocated EGP 9 million to restore these seven. Mohamed Abdel-Aziz, director-general of Historic Cairo Rehabilitation Project explains that the first three monuments were like other Islamic ones in heavily populated areas like Al-Moez street: suffering from ill use by area inhabitants, excess subterranean water leaking in, and cracked walls. Now after two years of work, he said, the edifices have regained their original grandeur. The sabil-kuttab of Khesru Pasha is one of the most beautiful Ottoman sabils with a sabil on the first floor and the kuttab on the second. 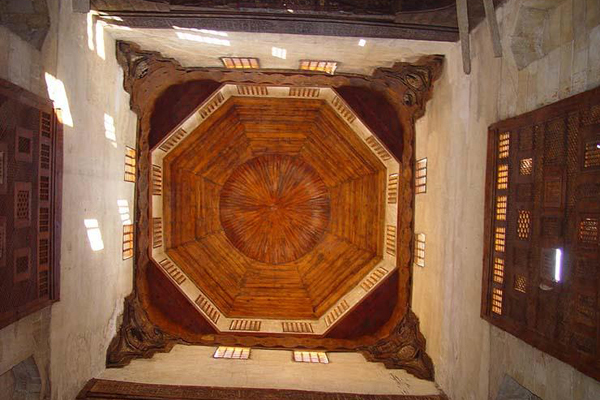 Al-Sultan Al-Saleh Negm El-Din dome is a rare example of a significant period in Egyptian Islamic history, when the Mamelukes took the Egyptian throne from the Ayyubids. The dome, he explains, was built by Shagaret Al-Dor as a burial place for her husband Al-Sultan Negm Al-Din, the last Ayyubid ruler. It consists of a large hall with a wooden sarcophagus in the middle and two other halls holding a kuttab and a small mosque. 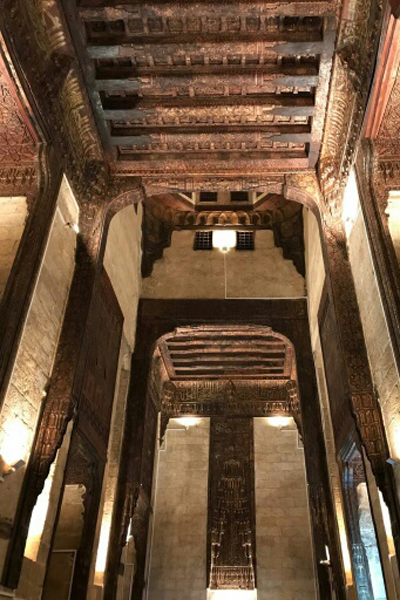 Sherif Fawzi, coordinator of the El-Moez street project, said that the Moheb Al-Din Abul-Tayyeb Hall was originally the reception hall of a palace built during the 14th Century. During the 1940s, the palace was severely damaged when work began on Beit Al-Qadi road. The hall was the only section left intact in the stunning palace. Today, it is a vast square visitor hall with a large mashrabiya façade. A marble water tap decorates the center and overhead is a fine wooden ceiling ornamented with colourful foliage and geometrical drawings. To the left is a small passage leading to a bathroom with a vaulted ceiling.